As the old saying goes, necessity really is the mother of invention. I found myself with a small dilemma (tiny in fact as dilemmas go) over the weekend. Approximately half of a pound of butter that had been left out of the fridge was rapidly turning into a too soft, squidgy mess on the counter top; the hazard of an Irish summer. One of these days some clever engineer will come up with a self regulating, temperature controlled butter dish and I will be first in the queue to buy one. Keeping real butter at just the right point of spreadable softness is very difficult in the summer months particularly. I could have put it back into the fridge but it had past that point where the taste would be left uncompromised if it hardened up again. I toyed with the idea of making clarified butter or ghee to use some other time, as much of the melting had been done already and then I wondered if I could use it up in a recipe. Dinner for that evening had yet to be settled upon and so I had a root around to see what else was in the kitchen. Oh yes, my very own attempt at a self imposed Ready, Steady, Cook; great fun for a Saturday morning. I had a fresh leek, some carrots, celery and red onions. Fresh rosemary and basil permanently grow at my house and there was some fresh cut coriander lolling around in the fridge not earning its keep at all. I also had my squidgy butter and there was just over half a bottle of white wine in the fridge from the night before. I decided on some herb butter baked lamb shanks and they were fantastic. Basically I put the soft butter into a bowl and just chopped up some rosemary, basil and coriander and mixed it through with a fork. Instead of stuffing the shanks with the butter or even piercing the flesh I just buttered the entire shank really generously. On a tinfoil sheet I put some chopped carrot, celery, red onion and leek and then popped the shank on top. I drew the sides of the tinfoil around the shank, poured in a good splash of wine and then closed my silver parcels and bunged them in the oven at 170° for just less than 3 hours. It couldn’t have been easier and I served them with some leftover potato dauphanoise from the day before. 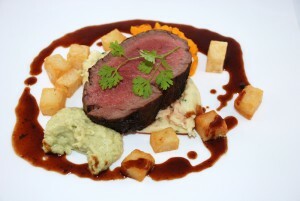 It would have worked equally well with mash, baked or roast spuds for that matter. It’s a new dish for me and I will definitely be trying it again. I love it when I discover something new by complete necessity or accident rather than design. I also couldn’t help noticing that the entire dish was Irish and mainly Tipperary and border county ingredients. In fact if the tinfoil had been made in Tipp we were almost totally home grown. 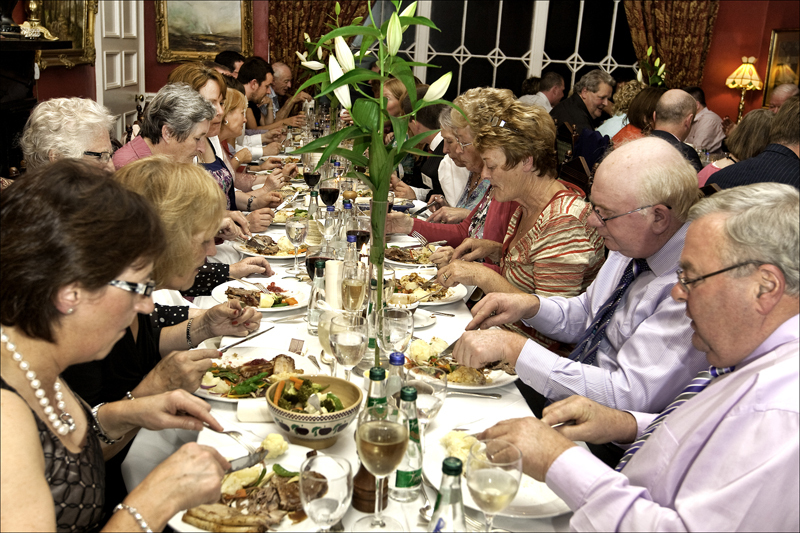 I mention the Tipperary connection because next week (Wed 24th August) we will be doing it all again on a much grander scale as it is time again for the annual Long Table Dinner. This year we are taking to the hallowed halls of that great Tipperary educational institution, Rockwell College. Regular readers of this column will be familiar with the concept of the Long Table Dinner, but for the newbies let me explain. 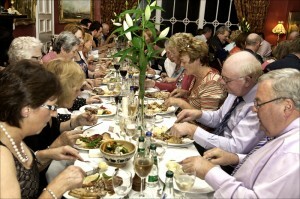 The Tipperary Long Table Dinner is now in its fifth year. 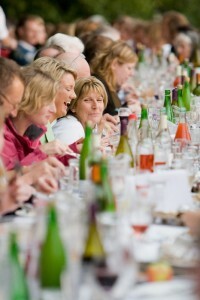 From humble beginnings in an orchard it has grown to a much anticipated annual food event. 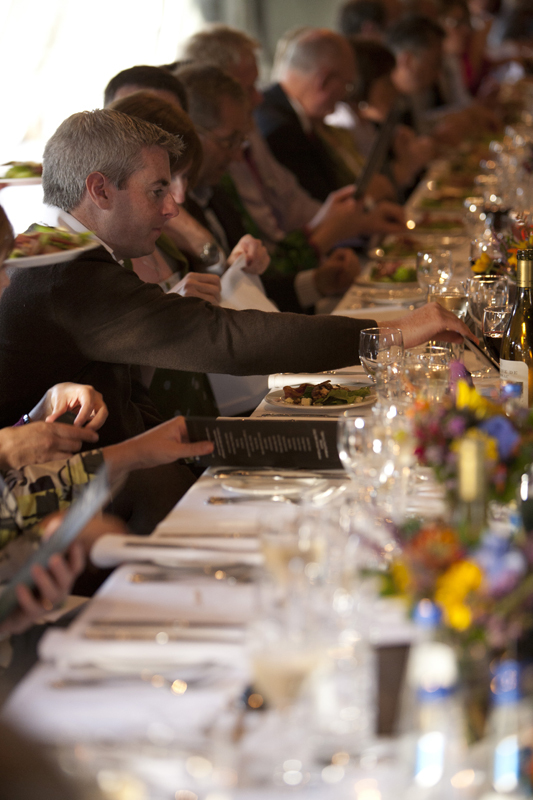 Basically it is a menu made entirely from Tipperary Food; a fun and exciting vehicle for bringing together all the excellent Tipperary producers and their artisan offerings. 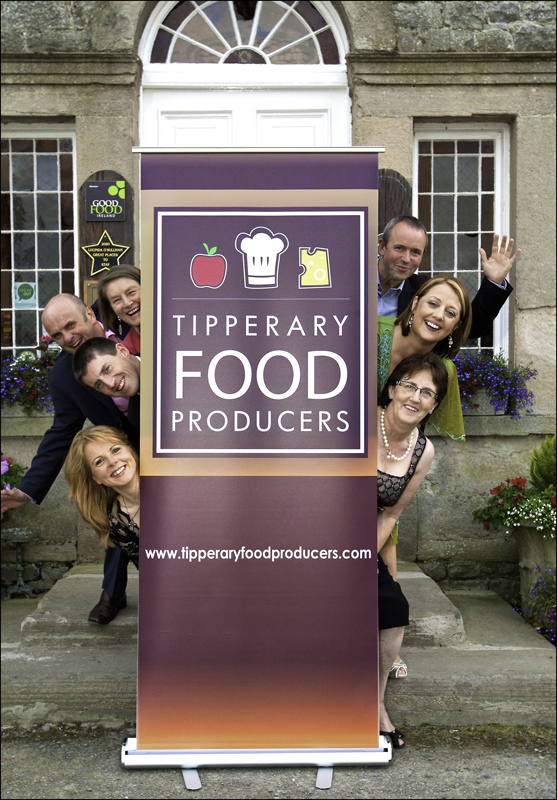 Sometimes it is hard to believe that all the food for this sumptuous banquet is sourced in Tipperary, but one need only take a look at the Tipperary Food Producers Network website to realise how much food is made here and some of the iconic brands involved. The Long Table Dinner is always a fantastic event with much ‘oohing’, ‘aahing’ and ‘mmmming’ as course after course teases and tantalises taste buds and the crowd leaves sated and totally in love with the local epicurean delights! That’s the way it has gone for the last number of years anyway and we can only assume that this year will be similar. On top of the great food, which is always the star, we try to stage the event somewhere special. We have gambled with the weather and held it outdoors. The first time it was an orchard and the following year inside the ancient ramparts of Cahir Castle. We have eaten under canvass in the special surroundings of Kickham Barracks. Last year it was held simultaneously in four of Tipp’s finest restaurants and this year we head to Rockwell College. If you have any interest in food it is a night not to be missed and there are always the ‘added value’ parts such as interesting speakers and after dinner entertainment, but mainly people come for the food. 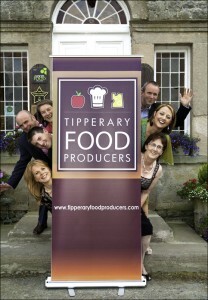 Tickets for this year’s event cost €75 and are available at James Whelan Butchers, Oakville Shopping Centre, Clonmel on (052) 6182477 OR from any member of the Tipperary Food Producers network at www.tipperaryfoodproducers.com As I write there are only a few tickets left for this great event. Even if you can’t make it to Rockwell as there won’t be space for everyone, there is nothing to stop you experimenting with the concept at home. 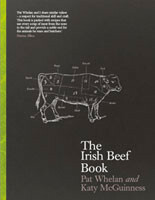 You really can make a superb meal entirely from the environs of Tipperary. In fact I challenge you to try it for yourself and let me know how you get on.